Are you brave enough to venture to the Upside Down? If so, you’re going to want to check this out. Universal Studios is introducing a “Stranger Things” haunted house as part of its Halloween Horror Nights events, and fans of the hit Netflix show will get to experience all the spooky things they love about the series in real life. Universal Orlando Resort, Universal Studios Hollywood and Universal Studios Singapore will all have their very own maze that will transport guests to Hawkins, Indiana. 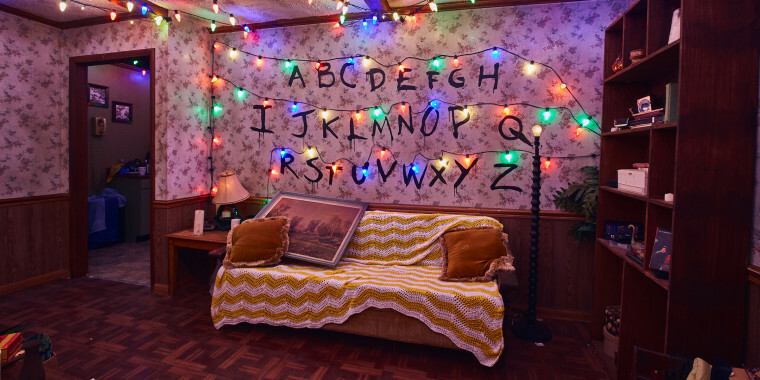 Some of the scenes you’ll be able to check out include the Byers’ living room adorned with an erratic display of flashing Christmas lights, Hawkins National Laboratory in the Upside Down and Will’s makeshift “Castle Byers” fort. All of the scenes, characters and environments are based off of the first season of the show, so don't expect to see Max or Bob from season 2 make an appearance. But rest assured you will encounter the Demogorgon! According to the Universal Orlando Resort blog, the detail is incredible and there will even be things in there that only die-hard “Stranger Things” fans will recognize. If you want more “Stranger Things” fun, Universal Studios Hollywood and Universal Orlando Resort will also sell specialized food inspired by the show. Some of the menu items include Benny’s Burgers (a classic burger named after the show’s family-owned diner), Demogorgon’s Totcho (piled up Tater Tots, doused in spicy queso, chili, Flamin’ Hot Cheetos, sour cream and scallions) and Eleven’s Waffle Extravaganza (three Kellogg’s Eggo waffles topped with Reese’s Pieces, jelly beans, chocolate chips and whipped cream). Considering there’s not going to be a new season of “Stranger Things” again until next summer, this definitely sounds like the next best thing! Halloween Horror Nights begins Friday, Sept. 14 in Orlando and Hollywood, and on Thursday, Sept. 27 in Singapore. Get tickets at HalloweenHorrorNights.com.